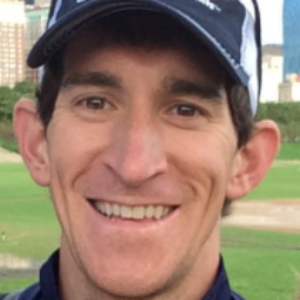 Colin is a USA Triathlon Level 1 triathlon coach, professional triathlete, and registered dietitian/nutritionist. Colin is available for online coaching, in person coaching for local athletes (e.g. swim stroke analysis, running track sessions, etc. ), nutrition consultations, and help designing strength training routines for individuals or groups. Colin has been coaching triathletes since 2011 and personally racing triathlons since 2005. As an amateur triathlete, Colin was the overall USAT Olympic distance national champion and the Best of the US Amateur Champion in 2013. He has also run several marathons having qualified for the Boston Marathon with a 2:48 marathon PR. He earned his bachelors degree in nutrition and fitness from the University of Dayton and Master's degree in nutrition with an emphasis in sports nutrition from Florida State University. Colin has worked with a wide range of athletes from beginners to elite/pro athletes from sprint distance to Ironman as well as beginner runners, ultra trail runners, and junior triathletes. Colin coaches the St. Xavier High School Triathlon Team. Whatever your goals, Colin is here to help. If you have a goal, I'd love to help you achieve it! Success. Coach Colin Riley has been notified of your message.